Focused on the coveted live music market in New York City, the alliance creates a nexus of current and future independently-owned and operated venues within the five boroughs while capitalizing on shared expertise and industry strength to serve artists and fans alike. Mercury East unites iconic venues throughout the city under one umbrella, establishing a network of clubs and theaters, including Swier’s Mercury Lounge and Bowery Ballroom, Live Nation’s Irving Plaza, Gramercy Theatre, Warsaw and Ford Amphitheater at Coney Island Boardwalk. The group will continue to expand this portfolio and will assist in growing artists by bringing acts to NYC’s most venerable open rooms, including Madison Square Garden, Barclays Center, The Beacon Theater and Radio City Music Hall. 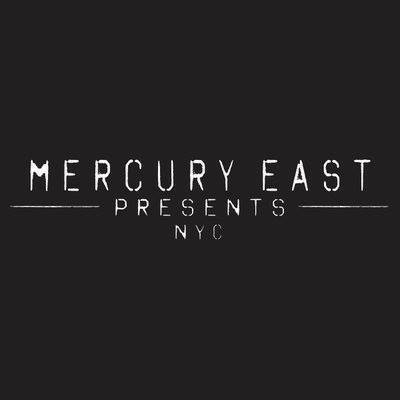 Mercury East will also collaborate with Founders Entertainment, who have introduced hundreds of new artists to the New York market through appearances at their Governors Ball, Meadows Music & Arts Festival and festival after parties. Both parties have a proven track record in the New York live entertainment scene. Live Nation remains the leader in live entertainment for the region, producing 2,000 events for more than 5.5 million fans in the NYC area in 2016. And Swier’s Bowery Ballroom has hosted thousands of events since its opening in 1998, and is nationally recognized as one of the premier live music venues in the countrry thanks to its talent bookings and intimate performance atmosphere. Well known to music lovers, The Mercury Lounge continues to offer a boutique vibe, welcoming crowds of 250 since its opening in 1994. Check out the Mercury East website here. Back in August, the AEG-owned Bowery Presents parted ways with the Bowery Ballroom and Mercury Lounge, as Variety reported. Brooklyn Sports and Entertainment, along with The Bowery Presents, will be booking shows at Webster Hall on 11th Street once renovations are complete. ahh another monopoly in the making, this is so not great for a city. It's a good field-music. If you are alive- chances are you are probably touring around somewhere.